All teachers and students in DET schools have free access to Global2. This is a blogging network that has been established for over a decade. It’s powered by CampusPress which is the sister service of Edublogs. Global2 is based on WordPress and is designed for education with 24/7 email support. If you want to learn more about blogging with the option of connecting with classes around the world, you might be interested in the Student Blogging Challenge. The ten week challenge runs twice a year beginning in March and October. Victorian teacher and global2 blogger, Kathleen Morris is running the next Student Blogging Challenge. It begins on October 7 and wraps up before the Christmas break in mid December. Each week, there will be a new post published with some materials to learn about blogging e.g. writing posts, commenting, using images etc. There will then be a choice of tasks that students or classes can complete to develop their skills while connecting with other blogging classes worldwide. If you’re interested in taking part in the Student Blogging Challenge, head over to https://studentchallenge.edublogs.org/ and subscribe for email updates. Registrations will be open during the first week of September. Participants can register as a class or as an individual student. There’s also the option for teachers to volunteer as a commenter throughout the challenge. This can also be a good way to learn about blogging. If you’re looking for other opportunities to get started with Global2, the team at Edublogs and CampusPress invite all DET teachers to take a look at the following self-paced courses which have just been updated. 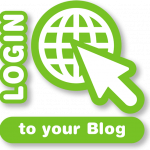 Student Blogging Bootcamp — This self paced course guides students through the process of setting up and using their blog. You could assign this to your students prior to starting the Student Blogging Challenge if you like.